Hi there fellow ribbon lovers. I’m sneaking in with one more Autumn themed card before things switch over to all Winter/Christmas. I don’t know about your neck of the woods, but Autumn hardly happened here in the New York. We literally went from a/c one week to heat the next. Don’t even get me started on how we missed out on the autumn colors . But, there’s always next year….. 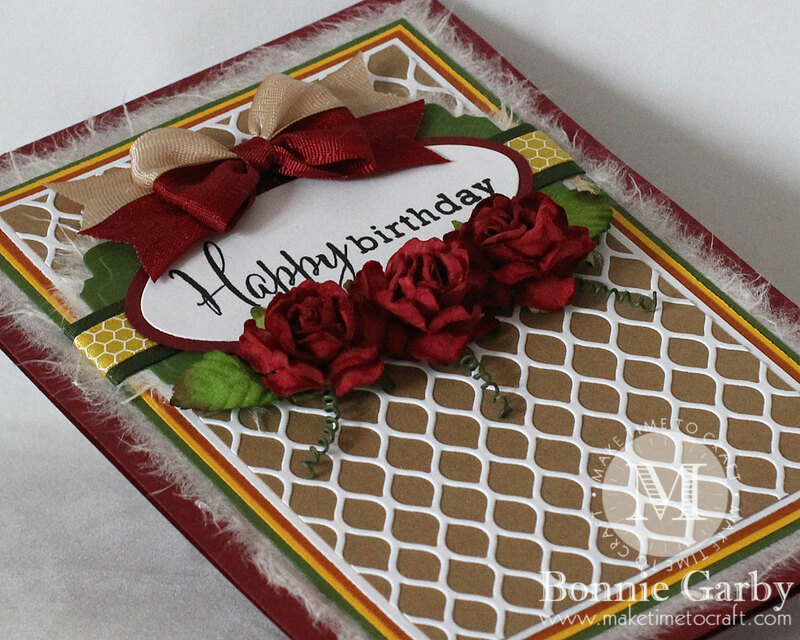 So this birthday card is sporting some fun autumn colors and it features some pretty ribbons and mulberry flowers from Really Reasonable Ribbon. My Mom’s birthday is in mid-October, so this color combo was perfect for her card. 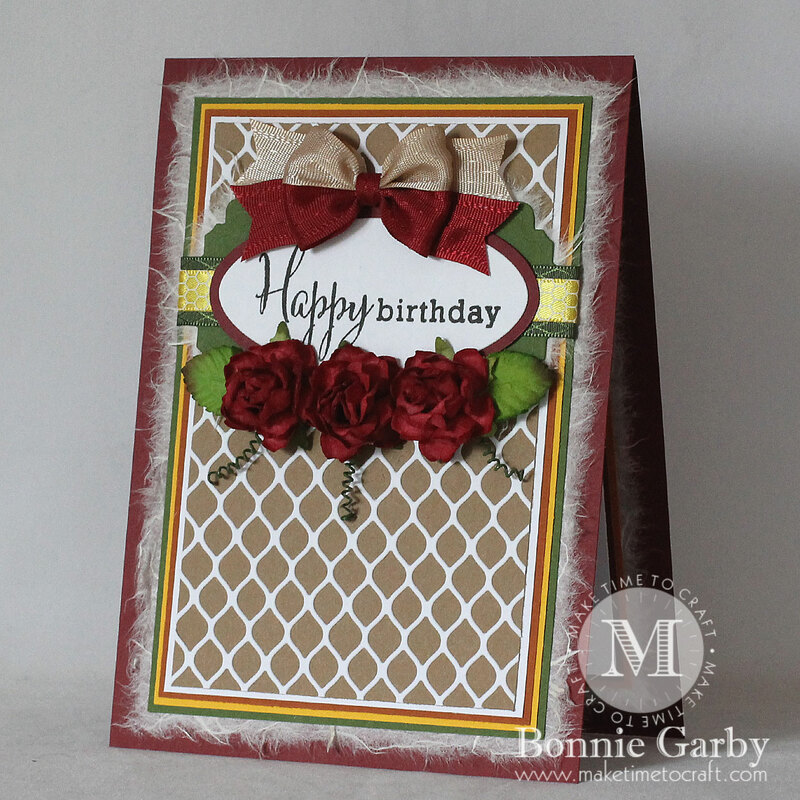 Of course I waited until the last minute to make it (what else is new…) so this was a pretty simple card. It has some layers of course, but they take no time to cut. Instead of making flowers, this time I hit my stash of mulberry flowers and selected some Red Cottage Roses to add below the sentiment. These pre-made mulberry flowers are a great time saver and great to have on hand. They are also very inexpensive. Be sure to take a look at all the options in the Mulberry Flower section at Really Reasonable Ribbon. I finished my card off with my signature bi-color double loop bow created on my Bow-it-All V3.0 with two colors of Delicate Stitched Satin Ribbon. This ribbon is my absolute favorite ribbon for bow making. It’s a dream to work with. I also ran a piece of 5/8″ Kiwi Diamond Satin Ribbon across the middle of the card under the sentiment and topped that with 3/8″ Maize Honeycomb Print Satin Ribbon. Such a beautiful card, lovely design with fabulous rich colours, love the flowers and bow! So very gorgeous and those colors you used are fantastic together. Thanks so much Verna. I love autumn colors and the season just went by so fast this year! Your card is stunning. 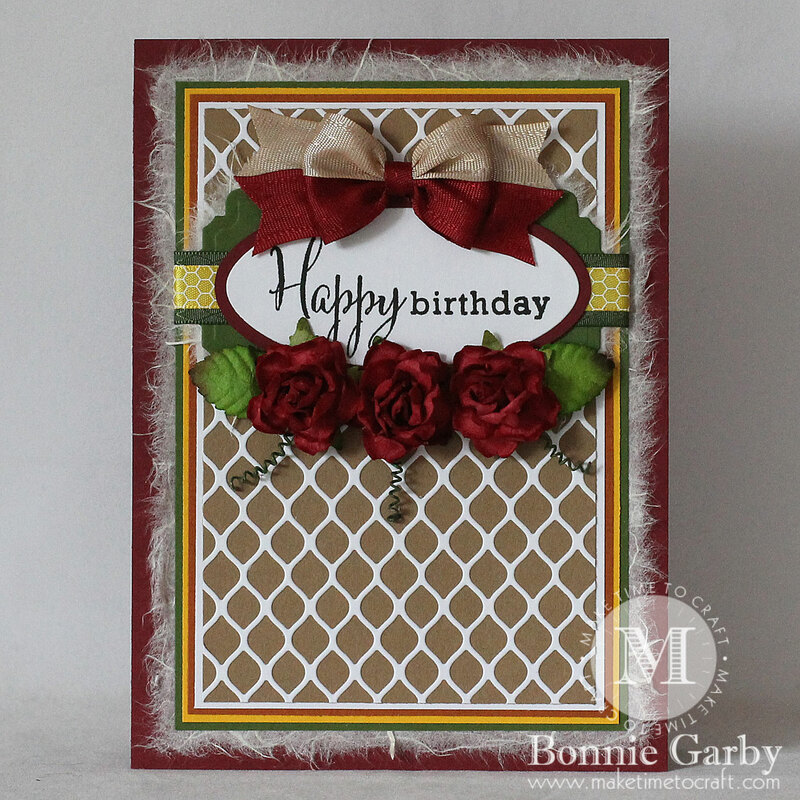 I love the lattice die panel and the mulberry paper peeking out from behind looks lovely.Thanks for joining us for our Cut it Up for our Clean and Simple. challenge! Gorgeous! Love that bow. 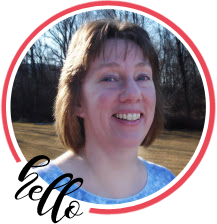 Thanks for Joining our challenge at Addicted To Stamps. 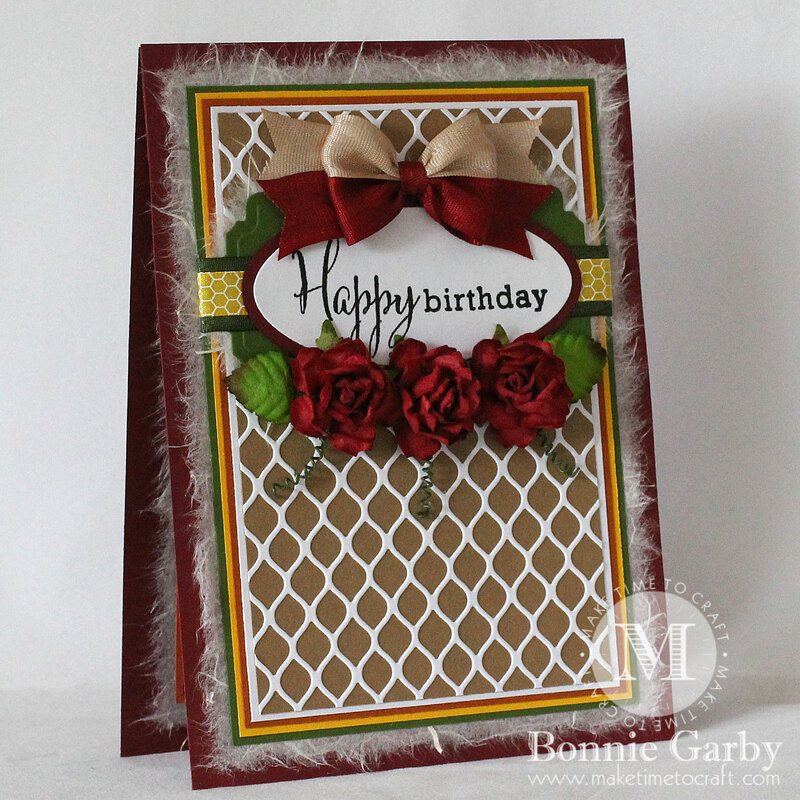 Bonnie, this is a beautiful birthday card, and I’m sure your Mom was thrilled to receive it! I love the repetition of the rich red here–so elegant! This really caught my eye in the gallery at SSS! Hugs! Thanks so much for the lovely comment Sara. I’m so glad the card caught your eye and you stopped by for a visit. Happy crafting! A lovely card, thank you for joining in with the TTCRD this week. Good luck and I hope to see you here again! Bonnie your card is stunning. The elegant simplicity of using the layers, the flowers and the bow makes it just gorgeous. What an elegant card! Love the bold colors and the fluffy layer on the background. Thank you for joining us over Simon Says Stamp Monday Challenge.